Are you aged between 9 and 22? Would you like to work with theatre professionals to create a full scale musical? What happens when you put 250 young performers together in a professional theatre with an amazing Choreographer, superb Director, a fantastic Musical Director, a phenomenal band, breathtaking set and costumes with outstanding lighting designs…. pure theatrical magic, that’s what! The London Dance Company Summer Youth Project is coming to The Leatherhead Theatre August 2019! The aim of Summer Youth Project is to provide up to 250 youngsters aged 9 – 22 with the opportunity to work together in a professional theatre. The two week project culminates in five performances of a full-scale musical under the supervision of a highly skilled creative team including a professional Director, Choreographer, Musical Director, Musicians and Technical team all in just 2 weeks! The project provides children & young people with a unique opportunity to take an active interest in the performing arts and is a good foundation for those wishing to further their careers in this field. As well as being actively involved in the arts, it helps our young cast build confidence, develop learning skills, unite with a range of ethnic and cultural backgrounds, have fun in an imaginative and creative environment, and of course, make lots of new friends! Summer Youth Project provides a crucial artistic outlet for children during the summer holidays. 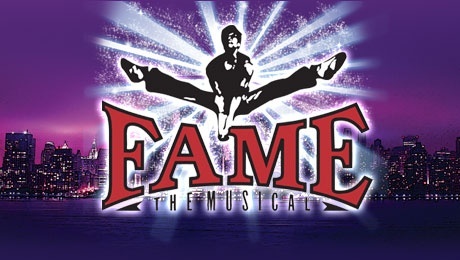 All auditions, rehearsal and performances will take place in The Leatherhead Theatre. vital members of the production that fill the stage with acting, singing and dancing. Over the two week project The London Dance Company will light up the sky like a flame, making magic by doing hard work learning their lines, rehearsing songs and practicing dance routines, all with an enthusiasm and dedication that is unprecedented. Performances will be from Wednesday 14th August – 17th August 2019 consisting of 4 evenings and 1 Saturday matinée. Fusion Bellydance classes – Leatherhead – weekly Follow us on Social Media.